maybe you don't have one------whats the VIN!! 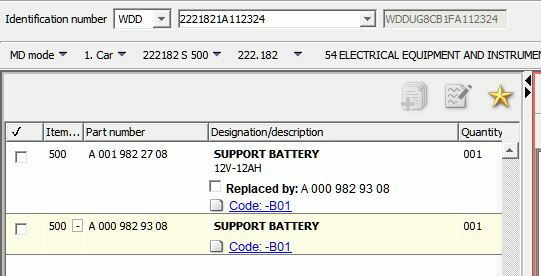 I suspect the battery is located within the side panel within the trunk of my 2015 S550 like the PDF shows that you provided for the 2014 S550 driver. I would like to purchase an after-market auxiliary battery (Duracell from Batteries Plus) in advance for the wife's 2015 S550 base sedan. Do you know the exact battery type or MB part number for the auxiliary battery? My VIN # is WDDUG8CB1FA112324 Thanks. Attached is a pic of the auxiliary battery, most recent part # 000 982 93 08, link to purchase, and location within a 2015 S550 base sedan.